For many patients, a brighter, whiter smile is easily achievable. For others, discoloration such as white spots, can mean whiter teeth prove more difficult to achieve. There are many excellent whitening treatments available on the market, and it is important you make the right decision for your patient. One treatment option for white spots involves teeth whitening with either Hydrogen Peroxide or Carbamide Peroxide to break up stains. This, in combination with additional treatment such as resin infiltration; can result in a dramatically whitened smile. This clinical case reviews the results of bleaching therapy using White Dental Beauty Carbamide Peroxide 10% for 20 days. 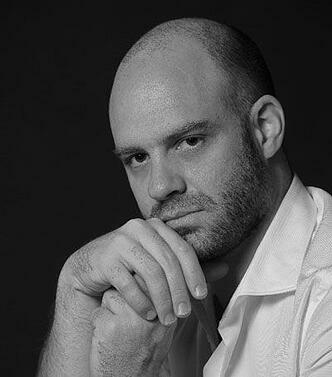 Jordi Manauta is an experienced dentist, who is is engaged in the ongoing development of various materials and instruments for aesthetic dentistry and photography in collaboration with international companies. Born in Mexico City, Jordi Manauta graduated with a degree in dentistry from the Technological University of Mexico (UNITEC) with distinction and was apprentice to Dr Miguel Angel Tamés (Mexico) and Dr Walter Devoto (Italy). He continued his postgraduate studies in Operative and Aesthetics Dentistry Master in UIC (Universitat Internacional de Catalunya) in Barcelona. Dr Manauta is the author of the book Layers (Quintessence 2012). In addition to the many publications he has authored and co-authored, Dr Manauta is also frequently invited to lecture. He also currently works full time at his private practice. Bleaching is no longer a vanity procedure. For many years, the benefits of non-invasive techniques have been proven to deliver amazing results, when the indications are followed correctly. The use of bleaching therapy to diminish and treat white spots is not without controversy, being rejected by some, but adopted by many others. The Infiltration technique has been widely proven to eliminate unsightly enamel spots, if the depth is correctly evaluated and the indications are followed correctly; for example in deep lesions, infiltration used in isolation is likely to be ineffective. Amber spots: Generally, these turn into white spots, which are more susceptible to the acid treatment of Infiltration therapy. White Spots: Two phenomena happen in these cases, the first is a reduction in opacity due to a balance in the refraction index of the disarranged prisms. And the second, is that little or no bleaching occurs to the white spot. This enables it to blend better due to the low contrast between the newly bleached surrounding tissues and the white spot itself. 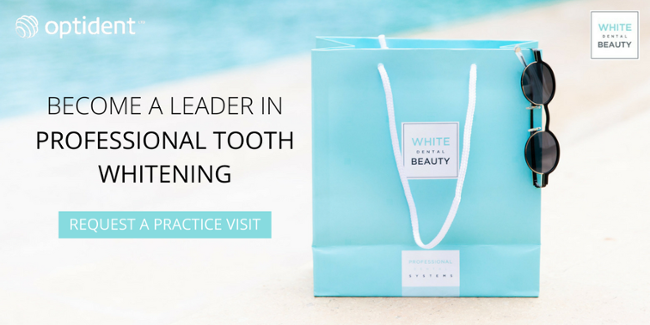 White Dental Beauty has a range of high quality tooth whitening gels includes 6% hydrogen peroxide and 5% 10% & 16% carbamide peroxide with NOVON, providing great versatility and clinical freedom to whiten patients’ teeth with as little as 30 minutes a day active treatment. Powered by NOVON, which uses an intelligent pH acceleration for maximum whitening effect, speeding up the whitening process whilst still being highly effective. NOVON is a new, patented whitening compound that comprises hydrogen peroxide, urea and sodium tripolyphosphate and is the active ingredient in a new generation of tooth whitening gels. NOVON has a unique inherent feature in that, on application, it produces a ‘pH jump’ into the alkaline pH range. This ‘pH jump’ enhances the release of perhydroxyl ions which give a faster whitening effect. NOVON – containing gels can therefore produce a similar whitening effect within a shorter timeframe, in comparison to whitening using a regular gel. Alternatively, within the same time frame, a similar level of whitening can be achieved using a lower concentration of NOVON (Hyland et al., 2014). This should be an advantage to patients with sensitive teeth. In this case, the selected bleaching therapy was White Dental Beauty Carbamide Peroxide 10% for 20 days. Bleaching should be a mandatory resource before stain treatment and restorative therapy. There is little awareness in the profession of the benefits of bleaching and some of the harmless side effects are also feared. Infiltration therapy should be a first-choice treatment, together with bleaching for these cases. ICON dry, which is used as a preview of the resin filtration after erosion, should be applied for 2 minutes to obtain proper visual assessment. ICON infiltration resin has to penetrate completely and a 3-minute application is advised.